A few weeks ago I received a phone call from an irate homeowner in Croydon. Within just a few moments I could understand quite clearly why he was so irate. He was having issues with the operation of his heating and domestic hot water systems and he needed advice. 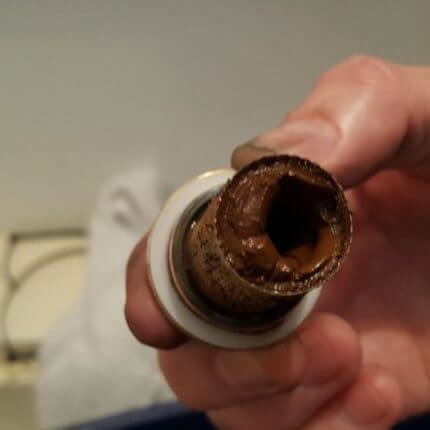 His first port of call had been to contact a local plumber, who had been very quick to charge a lot of money to attend and then leave with the problem unresolved. I wanted to make sure that I could get to the bottom of the problem though, and help this man out properly. My immediate recommendation was to isolate and clean out the strainer. After years of experience working with Heat Interface Units (HIU’s), I know that many problems are related to dirt in the system. The homeowner did this himself. It took him about 10 minutes and it solved his problem. The picture is of the removed strainer filter mesh and it shows just how dirt was preventing water passing to his HIU. I believe that the contaminants were a mixture of sludge and magnetite; a frequent problem. On another scheme in Chester we found a similar problem. Upon commencement of the commissioning of each HIU that we’d provided, the strainers were found to be blocked with debris. Although it was a completely new system, the level of contaminants was so high that the cleaned strainers were found to be blocked again before the completion of the commissioning works. 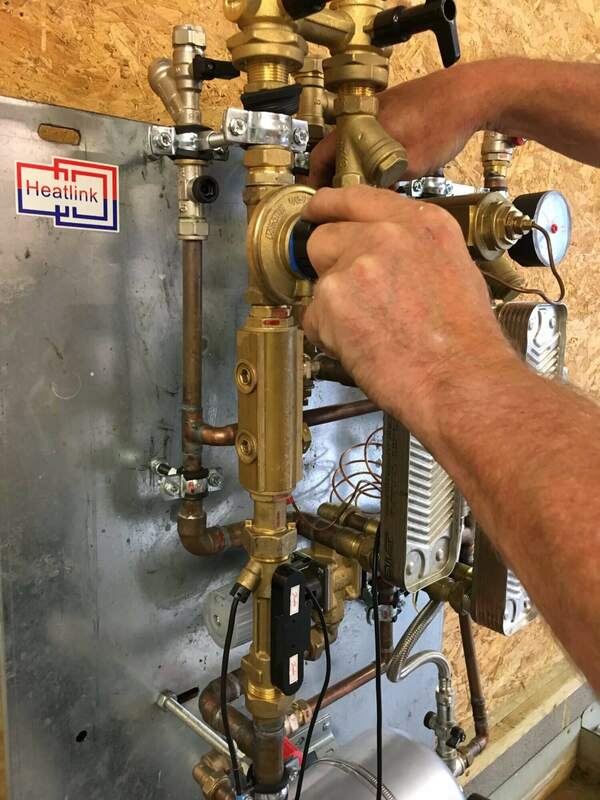 Strainers are installed in Heat Interface Units to protect the components within each assembly. Items such as heat exchangers, circulation pumps, motorised valves and differential pressure controllers could all be affected by the ingress of contaminants. It could alter the way they operate and reduce the life expectancy of the products. The type of strainers normally installed are generally of a basic cast brass housing with a mesh of differing capacities, usually defined in microns. 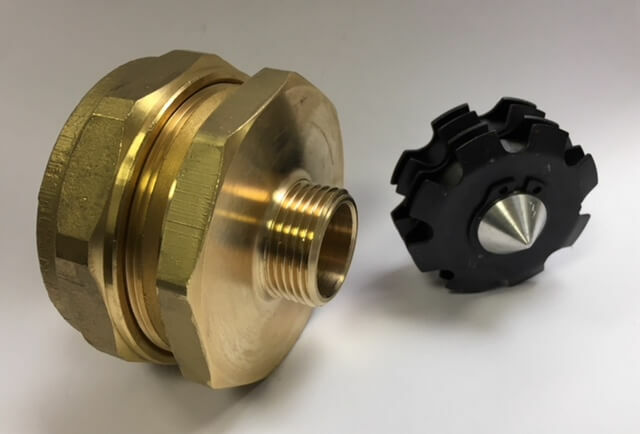 These strainers are designed to capture any contaminants in the system water and prevent them causing component damage or poor performance of the HIUs. As these types of strainers become blocked, the performance of the HIU can be affected or even stopped if the strainer is completely blocked. A service visit would then be needed. Differing filter mesh can be provided, but that still doesn’t eliminate the issue. The ideal situation would be to eradicate the contaminants that cause all the problems. This would require a strict regime of water treatment to detect fresh water ingress and maintain the correct levels needed to prevent system and component deterioration. Initial system flushing and cleaning is essential to ensure new systems are as contaminant free as possible. This should be immediately followed by the introduction of the water treatment chemicals. If you’re working with a heating system, it’s worth noting that magnetite, created by the action of oxygen on ferrous components, is not captured in a basic strainer. The particles are often so small that they can pass through the mesh filter without hindrance. This is known to cause damage in pumps and other components resulting in the failure of the item affected. In this instance, the water must be treated. Products like MAGNOM H2O can help here. If you’d like to know more about how contaminants may be affecting your system, please don’t hesitate to get in touch.